In the 2015 Indian Science Congress, several obscure and little-known men of Science from remote corners of India proclaimed India's greatness as a scientifically advanced nation during the Vedic times in loud and vociferous tones. These men unabashedly claimed that during the times of the Mahabharata war spaceships were a common phenomenon in Bharat. They went so far as to tell the world that nuclear weapons were used in the Mahabharata war. The world laughed at us. An Indian scientist, Gandhiraman, working at NASA was so infuriated that he took out a signature campaign against all this false propaganda. A talk show was conducted by Barkha Dutt in NDTV about these claims. One of the participants in this show was the renowned Indian English author Amish Tripathi. Though he was not as vocal as the proponents of Hindutva who swore by India's scientific glory during the Vedic age, Amish seemed to be subtly supporting all these idiotic claims about spaceships and the advanced medical knowledge Indians had. In a very apologetic tone, he claimed that Susrutha was a trained surgeon which as a matter of fact is true, and there were several scientific discoveries made in India during those times. He too joined the chorus of how scientifically advanced a nation India was in the Vedic times. 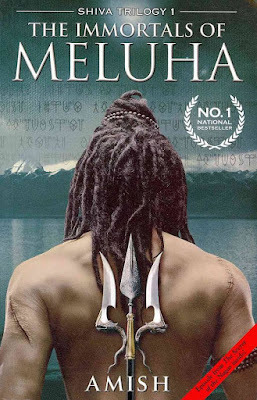 It was only after reading the first book of his Shiva trilogy, "The Immortals Of Meluha" I was able to appreciate Amish's reluctance to condemn the nonsense that the Hindutva brigade is always keen to propagate about ancient Bharat. Amish is a re-teller of mythical tales sugarcoated with rational arguments. In the Immortals of Meluha, we hear of men and women who live up to two hundred years after drinking a potion called the Somras. He gives a ridiculous scientific explanation for this. Mind you if you drink this potion you have to bathe often or you are done for. Reminds me of the Druid Getafix's magic potion from the Asterix comics, which gives the drinker super-human strength. In ancient Meluha everything is orderly and conventional. For the benefit of the society, couples have to make mind-blowing sacrifices like handing over their children at birth to be trained as per their natural skills. The parents never see or hear of the child again. Instead at a later date, they get to adopt any one of the children. The child who is handed over, in turn, is trained in a special school and is assigned a caste as per his capacity for work. So we have Brahmins, Kshatriyas, Vaishyas, and Shudras. But mind you, it is purely for occupational purposes and there is no one who is considered superior or inferior in this tailor-made society. Come, come Amish, how idealistic and selfless! And pigs might fly! Men and women live life strictly according to rules. Lady Sati is eighty-five years old while retaining the youth and beauty of a lass of twenty. And then there are the Vikarmas. You are declared a Vikarma and ostracised from the society if anything tragic happens in your life. The reasoning is that the horrific event has happened only because you must have committed some grave sin in a previous birth and you are responsible for it and have to pay for it. Once you end up as a Vikarma you have to live as an outcast for the rest of your life. Lord Ram's rules! Shiva gets the name Neelkanth after drinking the Somras and ending up with a blue colored throat! In his usual style, Amish tries to rationalize this too on a scientific basis. The scientists are called Rishis. To his credit, Amish has portrayed the protagonist Shiva as someone who has a rational and insightful mind and is opposed to the Vikarma system. He also does not like the low status accorded to the Shudras in some respects. The love between Sati and Shiva flowers gradually and has some interesting moments. Shiva is baffled by Sati's self-punishing attitude. The battle between the Meluha kingdom and the Chandravanshi kingdom is vividly described. The battle plans that are drawn by Shiva and Parvateshwar are technically detailed and give us an interesting insight into how wars were fought in ancient times. Shiva's Trishul is cleverly brought into the picture as a weapon that can be used in battle. Anandmayi is a refreshing creature. A young Chandravanshi princess without inhibitions, she is appealing with a mischievous smile and belligerent manner. The Nagas are monstrous looking creatures and have hideous faces. The book ends with Shiva and Sati chasing a Naga. I would have stopped reading Amish's books, but I have this crazy perfectionist attitude of seeing things through to the end. And this is a continuous story with three parts. So I have no choice but to read the remaining two books of the trilogy. I have received the second book "The Secret Of The Nagas" from Amazon today morning and I have started reading it just this afternoon. 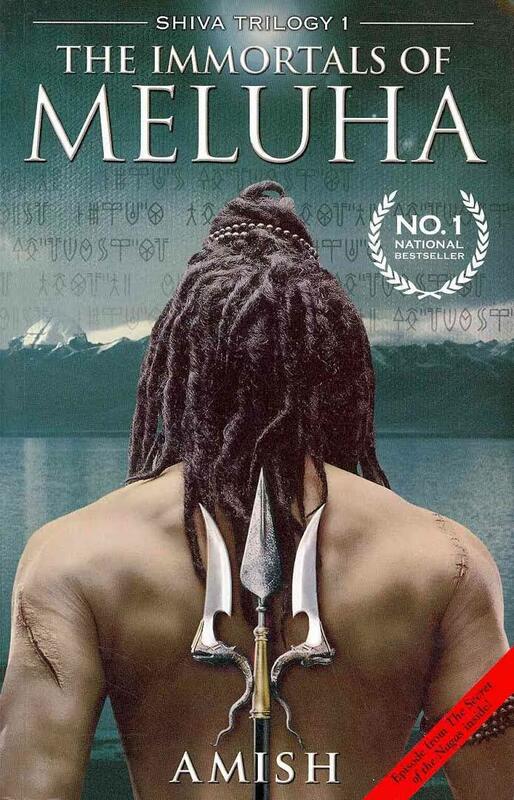 I go with a 2 out of 5 for Amish Tripathi's "The Immortals Of Meluha." Go for it only if you love reading a lot of nonsense about how great a civilization India was and enjoy having your beliefs presented with a bit of rationalization thrown in. Hahahahaha! An honest book review , literally! I fell in love with Shiva, after reading this book. One of my favourites actually! I have not read him, however, simply because certain other honest reviews like this one kept me away. I haven't read it but have received mixed reviews. This one is an absolutely honest Review.